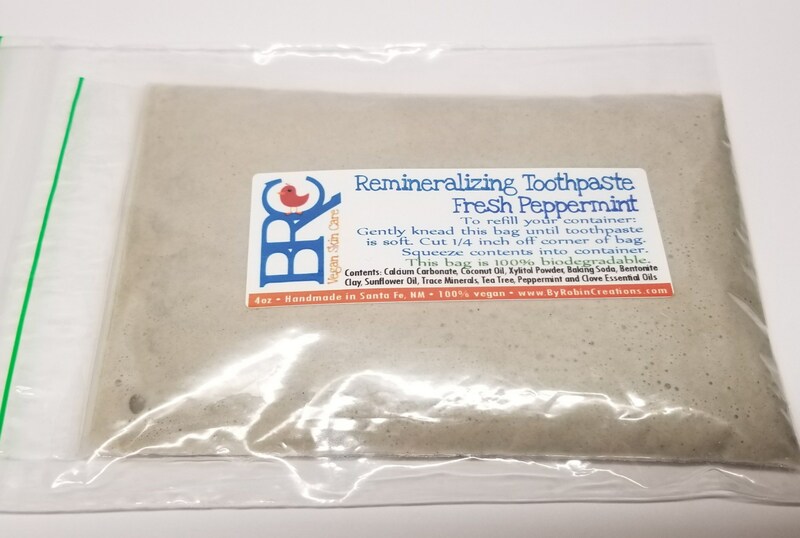 This fantastic handmade Vegan Remineralizing Toothpaste will do a wonderful job at cleaning your teeth and gums. It's simple, tastes great, and leaves your mouth feeling clean and refreshed. There are absolutely no harmful chemicals! Just dip your wet toothbrush in the jar and scoop out an amount the size of a pea and brush as usual. There is no need to rinse your mouth afterward, as all ingredients are great for tooth, gum and mouth health. Additionally, it is not a problem if you swallow it, but it is best to spit it out.